However, 8% of votes cast were against her reappointment, higher when compared to recent inductions of independent directors at the company. 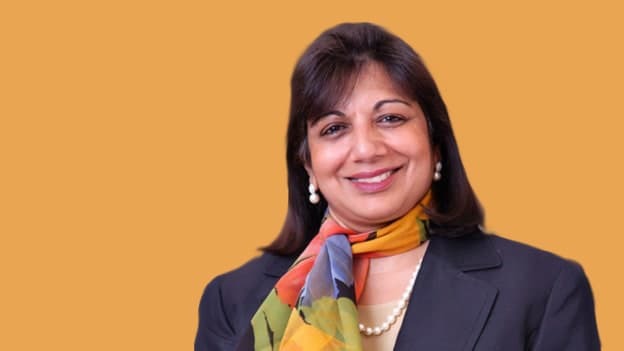 With about 93.5 percent of votes from public institutions (mutual funds and portfolio investors) in favor of her, Kiran Mazumdar Shaw returns to the board of Infosys. Among the public, non-institutional shareholders, about 81 percent voted to get her back on the board but 18.8 percent voted against, citing governance concerns dating back to the tenure of former Chief Executive Vishal Sikka. The overall percentage of votes in favor of her reappointment was at 92.2 percent. Shaw, a pioneer in the biotechnology industry in India has built and led Biocon and is identified as a highly respected businesswoman. And while the majority of the people appreciate her for her talent and leadership, nearly 8 percent (overall) of votes cast were against her reappointment, higher when compared to other recent cases. The last two independent directors were elected with less than 1 percent of dissenting votes. In fact, in 2014, when Shaw first inducted on the Infosys board, only less than 2 percent of votes were cast against the resolution. While it still remains a little ambiguous as to what might have caused this increase in dissent, Stakeholders Empowerment Services (SES), a proxy advisory firm highlights some of the reasons that could have caused the increase. SES founder JN Gupta also shared that the rise of e-voting, the regulatory requirement for insurers and funds to vote might also have played a role in the higher number of dissenting votes. These voting scenarios are not new and in the past cases like Punita Kumar Sinha receiving more than 8 percent of dissenting votes cast in 2016 and Jeffrey Lehman receiving nearly 15 percent of such votes have also occurred. In spite of the 8 percent votes against her, Shaw makes it to the board again, winning the confidence of 92.2 percent shareholders. Shaw now owes the responsibility to these shareholders who stand by her. She has now the task to add value to Infosys at her hands and she would be able to do this by bringing her experience, opinions and the suggestions on board. Shaw will play a crucial role in making a difference to Infosys’ business and impacting the lives of the shareholders with her role as the member of board.